The right size for any adventure. Let in more light with a quick flick of the shade. Then give the interior some fresh air and a whole new feel when you open Kona's available sunroof. Mobile apps make everything easier. And now they're on your Kona's interface. With your choice of Apple CarPlay® or Android Auto™, you'll connect safely from your touchscreen, not your phone. Playlists, podcasts, calls and news are easier to access and control with Bluetooth® right from your steering wheel. So you can stay focused, with your eyes on the road and your hands on the wheel. 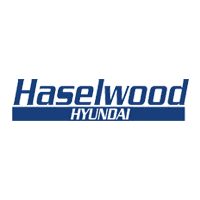 At Haselwood Hyundai, where the smart shoppers buy. Proudly serving drivers from Gig Harbor, Bainbridge Island, Port Orchard and beyond. For more information on the 2019 Hyundai Kona or to schedule a test drive, contact our sales staff or visit us in Bremerton today. 2019 Hyundai Kona Hyundai Kona 2019 Explore the 2019 Hyundai Kona at Haselwood Hyundai in Bremerton, WA. The right size for any adventure. Come in for a test drive today.